I find it totally shocking that so many commercially available hedgehog diets are packed full of unsuitable ingredients, with many based on peanuts and mealworms. 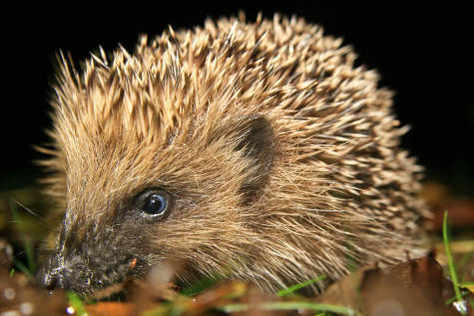 Mealworms have been linked to metabolic bone disease in hedgehogs, which is truly horrible. Nuts are unsuitable too - a hedgehog's mouth shape means that nuts and seeds can present a choking hazard. Yet so many shop-bought hedgehog mixes contain large amounts of both. It's a wonder that there isn't a regulation about what commercial hedgehog food can contain. Reading the label before purchasing is a must! You are so right, surely anyone can see that peanuts are not a hedgehogs natural food, they eat earthworms beetles caterpillars, and other live creatures all readily found in a garden. Can't help but agree. Many "Hedgehog sites" give conflicting advice. Indeed, I agree 100%. They are also ridiculously expensive in comparison to other food. Supermarket own brand meat flavoured cat biscuits will do the trick + help to self clean their teeth. My local rescue is trying to advise people against mealworms + peanuts.